Three soldiers were wounded in the ambush, according to a statement from the African Union, which was reported as the militant group was carrying out the deadly DusitD2 hotel attack in Kenya. Ethiopia denies claims made by al-Shabab that several Ethiopian troops were killed in the ambush – and it wouldn’t be the first time the Islamist extremist group has exaggerated the extent of its attacks. 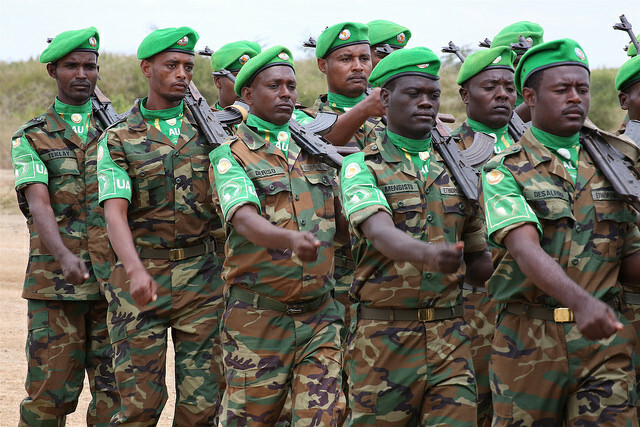 Ethiopia announced on Saturday that it would be joining Somalian troops in a “massive offensive” against Somalia-based militant group al-Shabaab. By Sunday, Ethiopia said the joint mission had killed 66 insurgents from the extremist group in Kismayo during an operation that also destroyed nine Land Cruiser pickups equipped with heavy explosives. The operation was carried out on Saturday and the US also announced it had killed 52 al-Shabaab extremists in airstrikes on the same day. The al-Qaeda militants have captured global attention once against following last week’s deadly attack on a popular hotel in the Kenyan capital of Nairobi. Al-Shabaab has a history of staging attacks against Kenya civilians with the Westgate shopping mall and Garissa University attacks in 2013 and 2015 respectively killing hundreds of Kenyans. Al-Shabaab has targeted Kenya in response to the country fielding troops to support the Somali government in efforts to defeat the militant group. Kenya’s unfortunate position of sharing a border with Somalia makes it something of an easy target but the same thing could be said of Ethiopia, which also contributes troops to support Somalia against al-Shabaab. Regardless, al-Shabaab has never staged an attack in Ethiopia and some analysts suggest it could be related to stronger tensions between the Muslim community and the state in Kenya compared to Ethiopia.